Today is a milestone: today, we are 10 years old. Last year around this time, Heather and I had a long conversation about how we were going to mark this momentous occasion with something big. 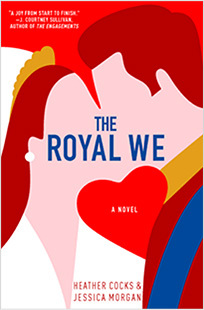 But the first draft of The Royal We was due to our editor today and instead I guess we ended up celebrating by making our deadline. Which is big. We’d never have gotten to write this, or any of our books, were it not for Go Fug Yourself and — far, far more importantly — were it not for you, our readers. Over half a million comments later, over fifteen thousand posts written, we are so grateful that you are still hanging out with us here every day. There is no better community of readers than Fug Nation. To quote the greatest love story of our time: thank you for being a friend. George is right. Time to get back to work. See you in the comments.